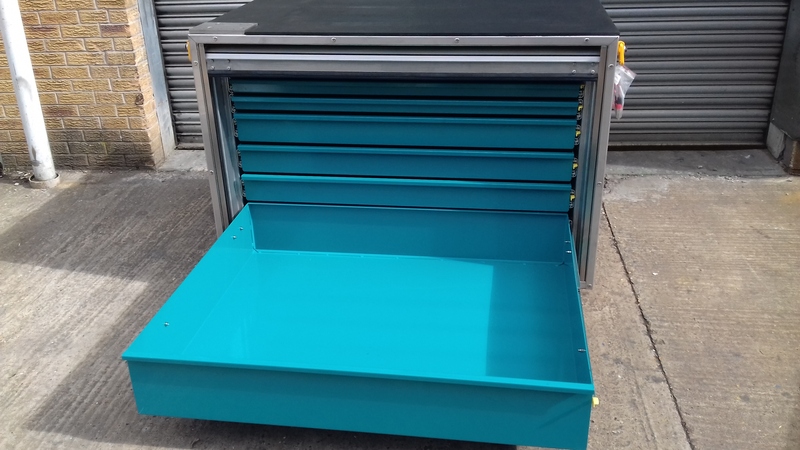 The SGT Large Tool Chest Kit is part of a project for Fosters Industrial, has been developed for a leading gas turbine engine provider. The tool kit has been designed to accompany gas turbine engines and provide all the tooling required to maintain the engine. This is a larger variation of the tool chest. 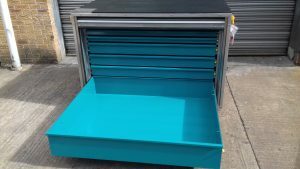 The design features a stainless steel outer casing with a lockable roller shutter door. 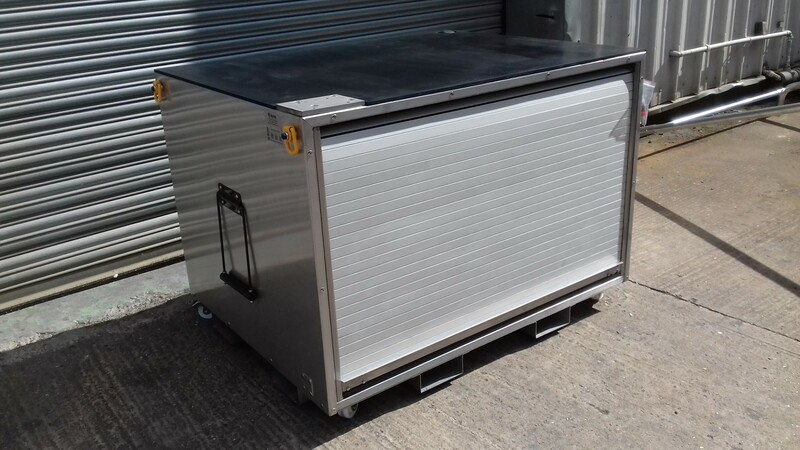 Fitted with stainless steel castors featuring 100mm diameter wheels, 2 off fixed 2 off swivel with total lock brakes for manoeuvrability. In addition, external lifting points and FLT access to the underside front and rear has been incorporated to ensure easy transportation. The top features a hard wearing phenolic work area with a vice plate.